Our company is a family owned business and is licensed and insured. We are very reliable, trustworthy and dependable. Our equipment is updated to allow us to perform the services you request in a timely manner. 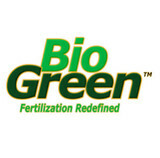 Bio Green USA has been a leader in developing and manufacturing soil amending fertilizers since its beginning in 2005. Bio Green USA’s line of Natural Bio Based products are a complete macronutrient and micronutrient package for turf, bedding plants, trees, and shrubs. Bio Green’s liquid fertilizer, plant nutrients, and soil amendments are blended in their Greensboro, Georgia facility. Each product is blended to feed plants, improve soil fertility, and build topsoil. Bio Green® products are environmentally friendly, river friendly and are child and pet safe fertilizers. Bio Green® products are applied by Bio Green® Licensed Service Providers through individually-owned and operated lawn care and landscape companies located nationwide. Bio Green® Fertilization Services will make your lawn, trees and shrubs green, healthy and beautiful in an environmentally safe manner. Bio Green® Licensed Service Providers know how to get your lawn and landscape healthy. Enjoy custom care for your grass type, climate, soil & weed-control needs for your best lawns and landscapes. Act now and get your first Bio Green® treatment. Find your local Bio Green® Service Provider for a Free Estimate and Lawn Evaluation. Easley's Yard Care is a full service landscape / hardscape company that has been serving Lake Oconee and Greene County for almost 30 years. We have built a reputation of excellence and dependability in both the residential and commercial markets with our "can do" attitude. Our goal is to create outdoor environments with both functional and visual appeal by means of design, installation, enhancement, and maintenance of landscape and hardscape areas. With customer service and relationship building at the top of our "to do list", we strive to meet our clients needs while providing value for their budgets. We believe constant and consistent communication that focuses on listening to our client's desires and wishes allows us to provide creative ideas and professional results. Our wide range of services, allow us to provide solutions for our client's outdoor needs at any stage of development for design to construction to ongoing maintenance. We look forward to the opportunity of working with you on your outdoor projects. We provide affordable sod quality lawns for a fraction of the cost of sod. Offer erosion control! Quality Land Control, LLC is a base landscaping company that specializes in providing high quality work and repairs. Our goal is to provide top quality workmanship at an affordable price. We put our customers first which is why we are here for all your landscaping services such as lawn mowing, tree trimming and more. Our professionals are also experienced in sewer installation and planting services. Need assistance with top soil installation? 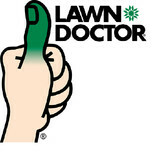 We are here and will help you with all your lawn care needs! Our landscaping and land clearing company is your one stop shop for all your yard needs. We take great care in durability and structural strength which is why we only use high quality products and industry-leading techniques. Everything we build and repair will be able to withstand everyday wear and tear. We have exceptional tree planting and gardening services. In addition to lawn care, we also have construction services. We also do land grading and drainage repair. Quality Land Control, LLC will save you both time and money while providing a variety of landscaping services. We proudly serve the residents of Washington, GA with the highest standard of excellence and expertise. We also have a snow removal service to clear all excess snow during winter seasons. We put the utmost care in giving our customers high satisfaction. Make your experience a positive one by contacting Quality Land Control, LLC today! Make your lawn stand out from the rest for all the right reasons! Count on our skilled and committed specialists at Page's Lawn Care Services in Monroe, GA for thorough lawn care assistance. Hire us today to meet all your lawn care and maintenance needs. For your safety, we're licensed and insured. We also guarantee prompt and professional lawn care services. Here at ArtScape Lawn & Turf Professionals, we have over 30 years of experience, which began with the Owner/President, Andy R. Taylor. Andy began ArtScape Lawn and Turf Professionals with one goal in mind: to provide affordable lawn care without sacrificing quality. Because of Andy’s hard work and Christian values, ArtScape Lawn and Turf Professionals has grown to be one of the finest lawn care companies in the industry. He created a solid and educated team, which now manages several divisions that work throughout metro Atlanta and the Lake Oconee area. Our team helps our customers, like you, have a lawn that is the envy of the neighborhood. BIXLER GARDENING AND DESIGN 20 plus years of horticultural experience Have all new Dixie Chopper and Stihl equipment Offering a five point lawn service all included in one flat rate *Mowing, leaf mulching *Trimming *Edging *Blowing *Weed and pest control (ants, aphids, etc.) I do everything myself and guarantee perfection. Want to revitalize the look of your home's exterior? Maybe you love your lawn but hate having to spend the valuable time and energy necessary to keep it looking beautiful year-round? Then call on ISLAND GUYS to work their magic on your home's landscape. We're the Pros with the competitive prices your budget can afford. Please don't hesitate to call us for a quote. Belinda's Design and Lawn Care invites you to experience prompt service and superior attention to detail. Our customer satisfaction is our top priority. We will earn your trust for a lifetime. We believe in making all clients repeat clients. You can be assured you're in good hands with Belinda and her crew working on your home improvement project. If you are looking for a contractor that follows business practices such as promptly returning phone calls, arriving on time for appointments and following through on promises then Belinda's Design and Lawn Care should be the one and only contractor you'll ever need. Call Belinda today you'll be pleased you did. Thank you! We can take care of your lawn maintenance needs! In addition to the maintenance side of gardening, Milledgeville, GA gardeners can help you with garden design and choosing specific plants and grass types for your climate and area. 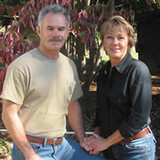 Find a Milledgeville, GA gardener on Houzz. Narrow your search in the Professionals section of the website to Milledgeville, GA gardeners. You can also look through Milledgeville, GA photos to find examples of yards that you like, then contact the Georgia contractor who worked on them.